This week, we turn our focus to the Interviewer, Lance Winn, the Vice-President of Media and Public Relations for the ALL. 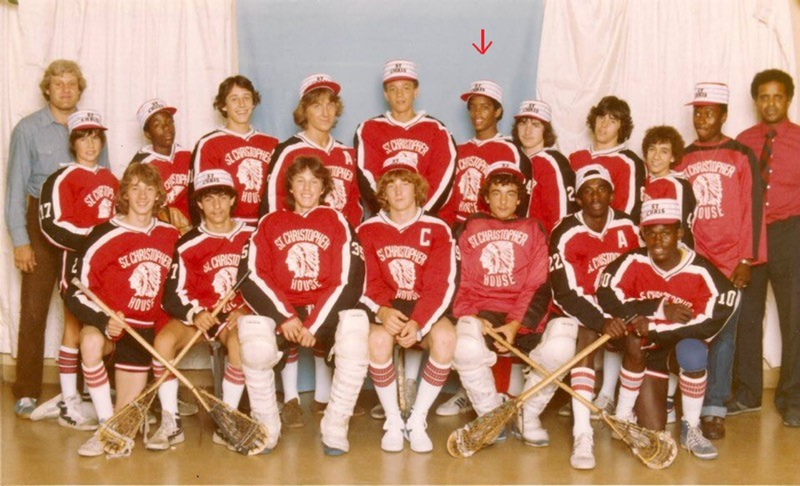 Lance has been interviewing players and coaches for the past few weeks so we thought we'd turn the tables, finding a photo of Lance in his midget year with St. Christopher House. Sticking with Lance's signature opening question. Winn: First thoughts are what a cast of characters on that team! During those days we were more like a family because it was usually the same teammates you played other sports with throughout the year so it was an easy gel. We had a lot of talent but lacked some discipline. We would come into our own the following season and win the Midget A Provincial Gold. 2. What exactly was St. Christopher House? What can you share about where this team played and the area you were from? Winn: St. Christopher House was the Community Center that provided local athletics for kids in the downtown core. It was the neighbourhood sports hub that made it possible for low income families to participate in sports as a positive alternative to other inner city options. As a team we played sports together year-round, went to the same schools, and hung out in our free time. We played in an outdoor rink that made a rainout a real possibility, traveled to away games as a team in a 7-seater van with the equipment tied to the roof, and featured the most culturally diverse team(s) in the sport at the time. 3. Besides lacrosse, you also played baseball and basketball at a high level, did you find that playing these other sports helped your lacrosse game and vice-versa? Do you have any advice for the kids of today whom seem to be concentrating more on one sport than spreading their talents around? Winn: I think that's something lost in today's athletic focus, playing different sports improves your entire skill set. The similarities between Lacrosse-basketball are easy to see so its a natural transition. Hockey stick skills and the hand-eye co-ordination used in baseball were instrumental in my overall athletic development. Kids now need a break from playing the same sport year round. With the competitiveness in minor sports there is more pressure to excel at one sport that take time away and I understand that from a parental standpoint, but for the kids sake its important they make the ultimate decision. 4. 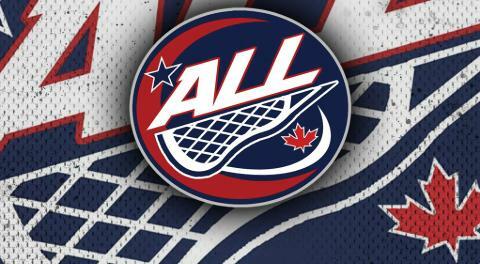 As part of your Vice President role in the Arena Lacrosse League, you are the voice of the ALL, doing the majority of play by play for the webcasts, when did you become a sportscaster? Did you ever find yourself doing play by play of games you played in while you weren’t in the action? Winn: I have been involved in the Sports Media for 20+ years in a number of different capacities. The industry allowed me to travel the globe and witness some of the most historical and memorable moments in Sports. My role with the ALL provides another opportunity to be involved in a sport that has always been a part of my life, doing the thing I enjoy most and that's being at the game involved in the action. When I played I always did more listening than talking so that might explain why I seem to have so much to say now. 5. Finally, you were a teammate of John Tavares at St. Chris prior to John’s family moving to Mississauga, and you continue to be friends to this day including you providing John’s pre-introduction speech into the NLL Hall of Fame in 2016, what can you tell us about your special bond with the games greatest player? induction of the greatest lacrosse player of all time was a life highlight. Thanks Lance for doing this interview and we look forward to seeing you and hearing your voice when the Arena Lacrosse League goes live for the playoffs.